How would you like to win a $15,000 dream kitchen for your mom? Just in time for Mother’s Day 2019, Express Kitchens will be giving away one free dream kitchen worth $15,000! From now, until May 10, 2019, Express Kitchens will be collecting entries for our flagship promotion – Express Kitchens Mother’s Day 2019 Contest. For our biggest promotion ever, one lucky contest winner will receive a FREE KITCHEN worth $15,000 – complete with cabinets, crown molding, granite countertops, sink, faucet and stainless steel appliances from Express Kitchens. 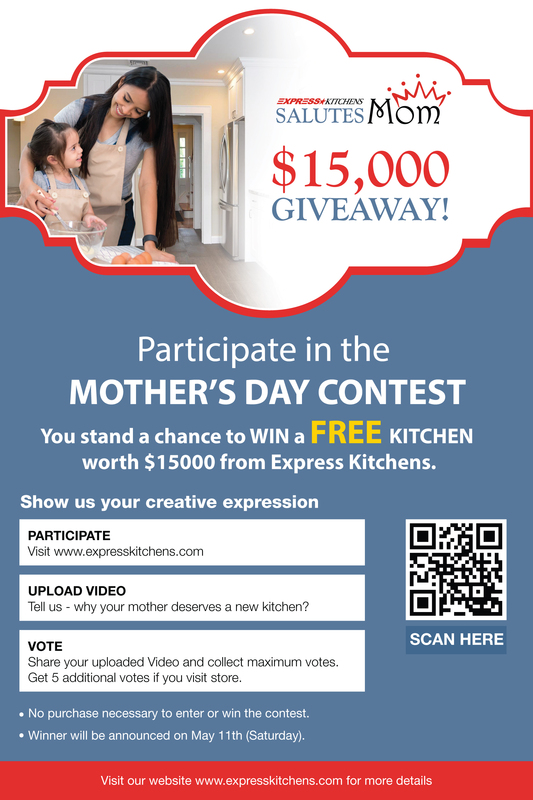 The Express Kitchens Mother’s Day 2019 Contest is open to all contestants across Connecticut and Massachusetts. To enter, visit the company’s website www.expresskitchens.com and participate in the contest. Last year, Express Kitchens was able to fulfill a dream kitchen wish to our Mother’s Day 2018 Contest winner, Karen Beck. She was extremely delighted to have a new beautiful kitchen installed complete with brand new appliances and kitchen accessories. Sharing her delight and happiness with her new kitchen, Karen wrote to us about how she enjoys every minute she spends in her new kitchen. She also expressed her gratitude and was immensely satisfied with the quality and installation service from Express Kitchens. Express Kitchens believes in celebrating Mother’s Day to respect the commitment of moms, recognize the importance of maternal bonds and the role of mothers in our society. With the Mother’s Day 2019 Contest, Express Kitchens realizes the importance of a mother’s role and her contribution to her family. Through this contest, participants get the opportunity to share and express love for their mothers. The Mother’s Day Contest from Express Kitchens is for all hard working and selfless mothers who go beyond their means to give the best of the best to their families. Participate now in the Express Kitchens’ Mother’s Day Contest 2019 on www.expresskitchens.com. The last date to enter the contest and upload the video is May 10, 2019. Winner will be announced on May 11th, 2019. 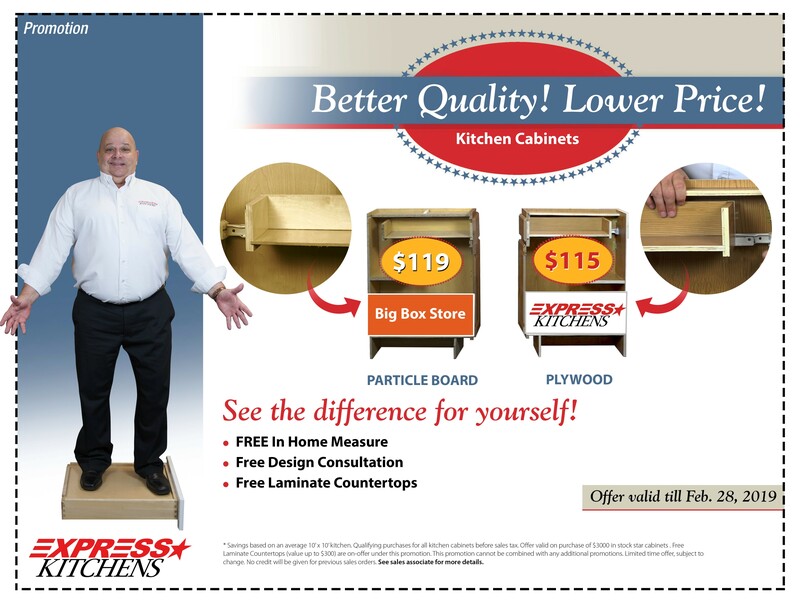 Visit your nearest Express Kitchens store and see Sales Associate for more details. Express Kitchens, leading manufacturer and supplier of kitchen cabinets, introduced new set of add-ons for its kitchen cabinet and storage solutions. The new value addition to its kitchen cabinets is aimed to offer diverse range of options to its customers, whose choice matters the most for the company. The new add-ons, in the kitchen cabinets, are a unique and innovative way to offer customer delight. Express Kitchens believe that enhancing quality and offering innovative kitchen solutions will certainly be a value-addition to the likes and preferences of its customers thereby significantly improving their cooking experience in an Express Kitchen. One of the foundations to a functional kitchen is kitchen storage. If it is inadequate or ineffective, you will be faced with endless frustrations and challenges. 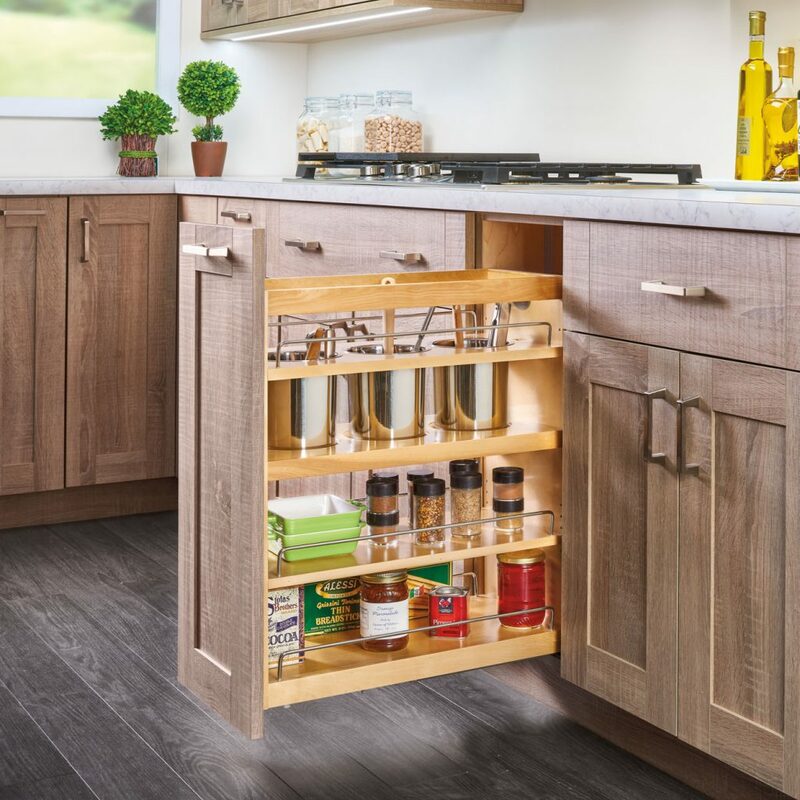 To counter these storage challenges, homeowners are starting to look for better storage solutions within the cabinetry. 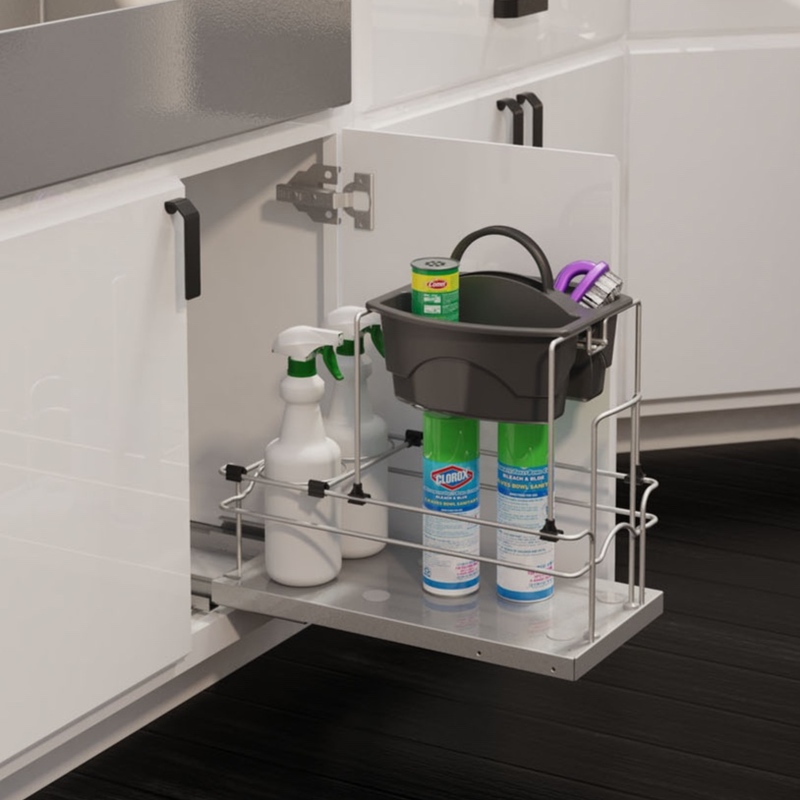 These can include: appliances garages for small appliance, drawer dividers for cutlery & utensils, pull-outs for spices, tray dividers, roll-out trays and caddies for pots & pans; as well as wastebasket cabinets for garbage and recyclables and/or deep drawers. These will make it easier to store foods, drinks and small appliances. The kitchen cabinet design has seen a change with add-ons and value added accessories that would keep the people closer to technology. A rapid change in tastes combined with advanced technology has given rise to a wide variety of styles. One of the biggest annoyances with kitchen cabinetry is the unnecessary waste of space. The way the basic shelves and drawers are structured leaves a lot of wasted space. Worst of all, available space is often too small or it’s too wide and does not give you a way to properly and efficiently organize the space. Elaborating on Express Kitchens customer-centric philosophy, Max Kothari, CEO of Express Kitchens, said, “We have created a compelling environment through new launch, exciting cabinet range and excellent service to give a matchless user experience to people. Our aim is add value to our customers’ thoughts and imagination giving them the best of Express Kitchens at all times. Our business philosophy is simple – we offer a unique experience to people and empower customers to achieve their dreams of having a great kitchen. 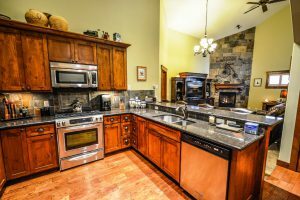 Kitchen Cabinets are an integral part of your project discussion when you are considering a kitchen remodel or a kitchen makeover or a kitchen renovation. Whether you go modern, traditional, or transitional, an important decision is what material will be used to make your cabinets from. 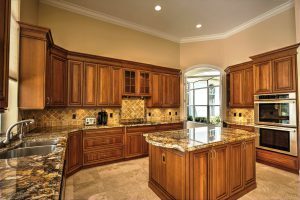 A deeper understanding and knowledge of kitchen cabinets will help you make a quick and wise decision on your kitchen project. Boxes are the true heart of cabinet systems. Cabinet boxes are structural, and thus need to be strong. And this is where particle board and plywood come into play. Particle board is often made of scraps of wood that are considered waste. Many big box plywood manufacturers also make particle board from the leftovers. Because of this, particle board is less expensive. By using particle board, one can save between 8% and 12% on the cost of cabinets. It also has a drawback of being susceptible to damage from water and liquids. Particle board also gives off formaldehyde vapors based on the constituents of the adhesives used to bond the wood particles. While this isn’t anything new it is becoming a more prominent issue given the movement to build homes with healthier and eco-friendly products. On the contrary, Plywood is generally thought to be the better product when building cabinets. 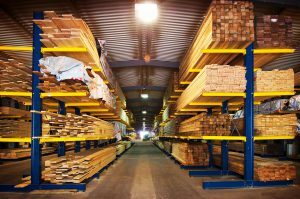 Plywood has superior construction longevity because it holds screws and other mechanical fasteners more efficiently. It has superior tensile and shearing properties (meaning it resists pulling forces and side-to-side movement) and a slight advantage in compressive strength (ability to bear weight). Looks: Plywood provides that natural look and feel of real solid wood with grain, knots, and mineral streaks. Durability: Plywood is a sturdy material made from wood sheets that are compressed and then covered with a veneer. It’s a great material to use in kitchens as well as other areas of the house because it tends to stand up well to wear and tear. 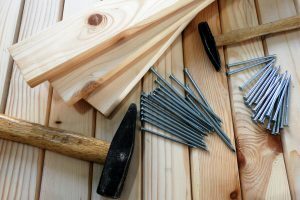 Construction: Plywood can typically hold nails, screws, other fasteners, and even glued joints. 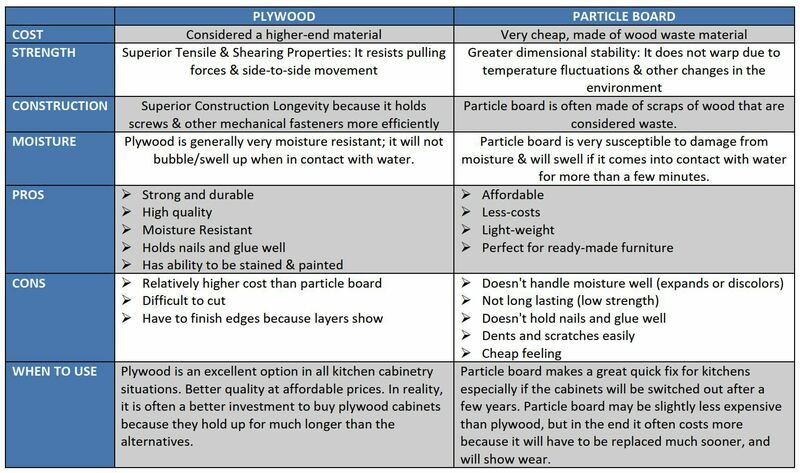 Plywood is a structurally stable material that is lighter than particleboard which is why cabinet makers prefer to work with it. Typically plywood is the more expensive cabinet box construction, but check the thickness before you decide to go plywood. Good cabinets should use 1/2″, 5/8″ or 3/4″ plywood construction. 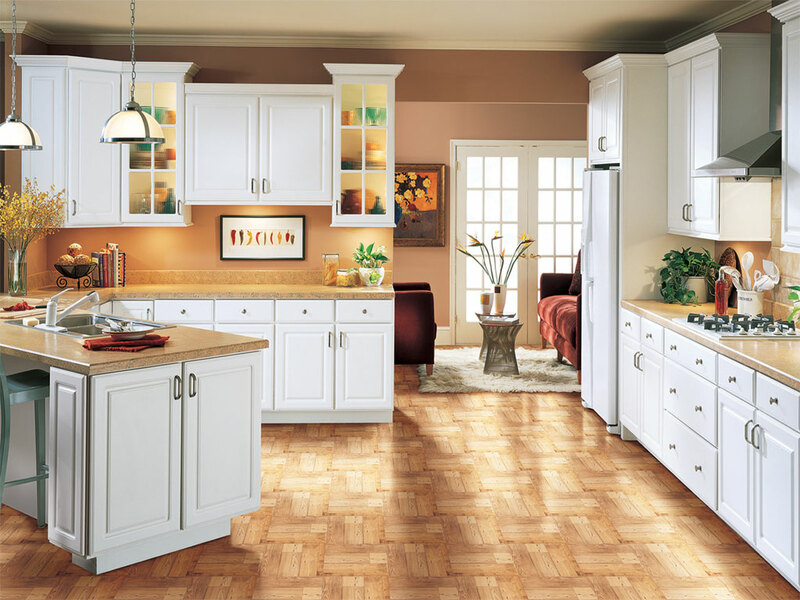 At Express Kitchens, we use high-quality superior plywood for complete range of kitchen cabinets. Our cabinet shop uses the highest quality hardwoods to produce Star Cabinets and our designers have created a line with styles that range from simple to elegant and contemporary to classic. Our talented artisans then apply a variety of colors, stains and finishes to complement every style of home and kitchen décor. 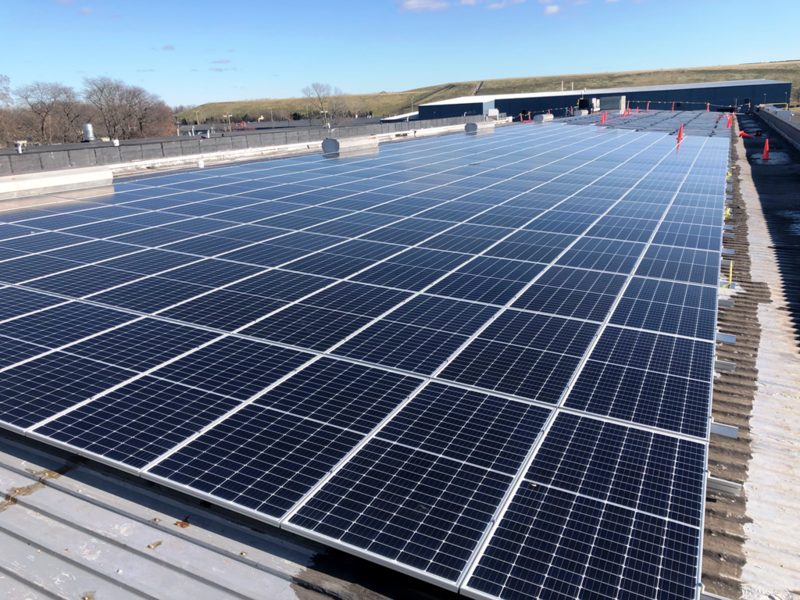 Making a strong commitment to put renewable energy practices to its business operations, Express Kitchens is installing 628kW of solar panels at its office locations in Hartford, Connecticut. Apart from the Hartford Landfill Solar Project, which was installed in 2014, Express Kitchens will join the ranks with one of the largest, privately owned solar projects in the city of Hartford. 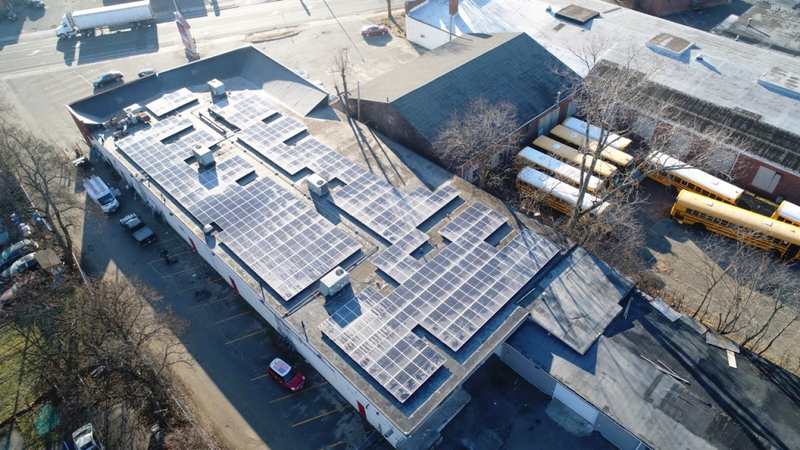 Express Kitchens is installing solar panels at multiple premises across Hartford Connecticut, which includes – 2995 Main Street; 3281 Main Street; 231 Weston Street; 3030 Main Street; and 3080 Main Street. The energy efficient mechanism of harnessing solar power will drastically improve operations of Express Kitchens Laminate and Granite Shop, Cabinet Shop, Kitchen showroom as well as Warehouse facility. Announcing the initiative, Max Kothari, CEO of Express Kitchens, said, “Our holistic approach to sustainability is a core component of our long-term business strategy, helping deliver greater value for our customers. By seeking solutions that encourage long-term sustainability, we try to leave a smaller carbon footprint. The steps we have taken and continue to take – both big and small – help us drive results as we strive to create a more sustainable tomorrow. 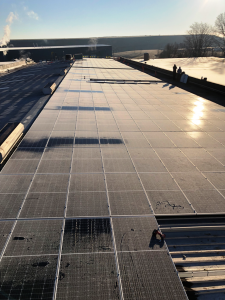 Commercial solar in the United States owes a lot of its growth to support from the federal government in the form of tax credits and rebates. 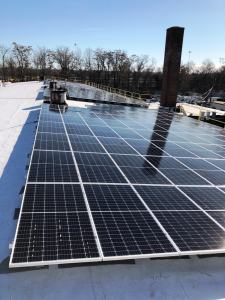 As a leading player in the new kitchen construction and renovation market, Express Kitchens new energy efficient initiative of using solar panels for their electricity consumption will reduce company’s environmental footprint and will efficiently support existing business operations at Hartford. 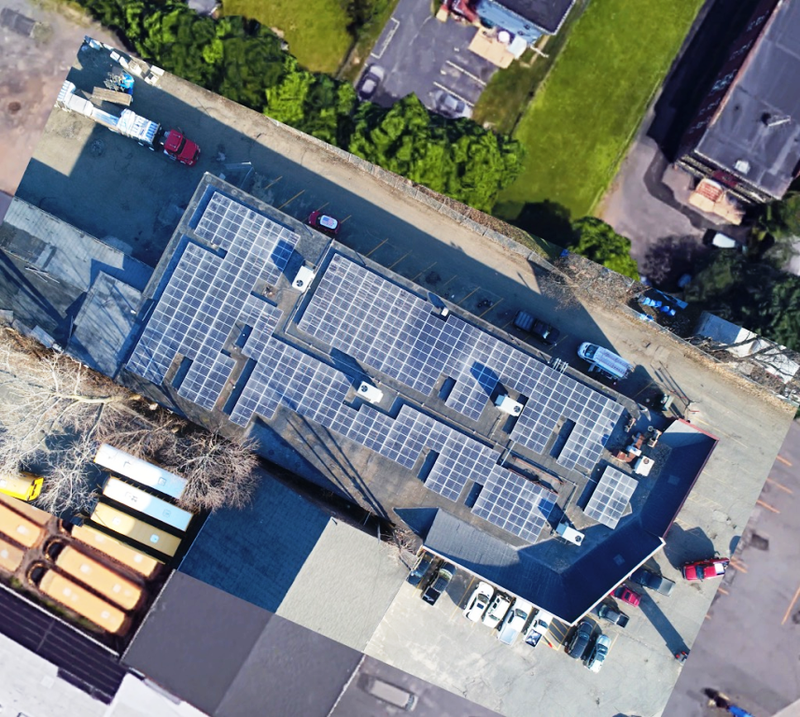 With rising utility prices and a considerable decrease in the cost of buying and installing solar systems, solar power has become a sustainable and cost-effective energy alternative for business owners. Although many small and medium-sized companies are still in the process of understanding how solar energy can make sense for them, more than 100 of the Fortune 500 companies have already received significant results by using solar power. 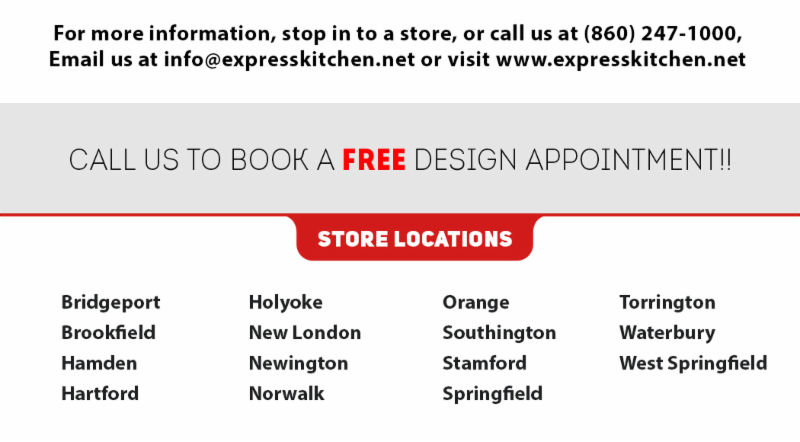 This year, Express Kitchens has added 4 new store locations across Connecticut and Massachusetts. The growth initiative has propelled Express Kitchens to focus on enhancing quality, innovation and customer delight to its offerings and services. To achieve this, we have put together efficient processes, talented people and robust machinery which has been able to deliver fantastic growth. Express Kitchens business philosophy is to explore new-age technology innovation to optimize work efficiency & scale-up business operations that will help us in serving our customers well. Harnessing energy through solar panels is certainly going to have a positive impact on Express Kitchens business. 2018 became a landmark year for Kathleen P. at Ledyard, CT. Her 41 years long awaited dream became a reality when Express Kitchens offered her what no one else could think of: – a sense of contentment after her kitchen installation was complete. Find below Kathleen’s narrative of her happy memories with us. Thank you for all your help in making my kitchen become a reality! I have lived in my house for 41 years and until this past May had the original kitchen. 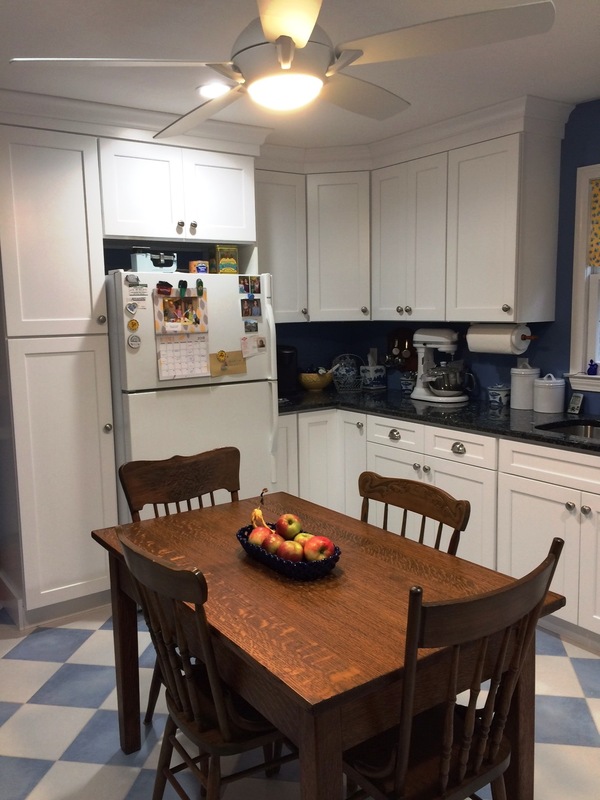 Although I painted the cabinets and decorated the kitchen, the kitchen was in dire need of a remodel. Problem was, I could not afford to do anything until I was left a small inheritance. For me it was a major undertaking. My favorite color is blue and I knew I wanted a checkered white and blue porcelain floor. The problem was finding it! Blue was unheard of! But I finally did locate it and once I got the ball rolling the project went full steam ahead. I got everything packed up and moved out and friends came and spent two days helping me rip out the old flooring and cabinets, I got the walls and trim painted and the floors were installed. You had designed my kitchen following pretty much the same foot print with a couple of major differences, I finally got a pantry and instead of two “dead end” corner cabinets where things went never to be seen again, I was given two lazy susans as well as two upper corner wall cabinets, one with glass to display a few items. The cabinet install was done beautifully by Brian Smith. His workmanship and attention to detail was very impressive. Brian spent two days here, one of them working until 9 at night to finish. He cleaned up after himself and was also very pleasant to have in my home. The countertop measurement man came and did a thorough job of getting it right and asking me where I would prefer to have the seams. A week or so later the installers came and made quick work of installing the granite. They too worked very well and did a wonderful job. I am so pleased with my white cabinets, something I always wanted. I never was a fan of colored or stainless appliances and preferred white appliances and white cabinets before white cabinets were the trend. I went with colors I wanted. If I have any regrets it is that I chose granite for the countertops because I don’t care for the shine, I should have stuck with my first choice, which was white Formica! I know, probably the only woman in the world who would pick Formica over granite! I really like the beauty of the blue pearl granite. It is difficult for me to get used to a dark counter since I always had a light one. But once I get a backsplash installed in white to go with the cabinets it will be fine. Everyone who sees it loves it. I have only had one glitch with the cabinets in that one door needs to be replaced because it arrived a bit too short. I believe you have gotten the issue addressed and I will be receiving the correct door soon. I waited so long for a new kitchen and am extremely pleased with the quality of the cabinets and the install. I looked several places and your price and quality could not be beat. I knew in my mind what I wanted and the second I looked in the storefront window and saw the white Shaker cabinets on display I knew that is what I wanted. I didn’t have to look at anything else. I love the soft close drawers and I especially like the drawers to hold the pots and pans. No more dropping everything out of a cabinet to get to the pan I want. I finally have a place to store all of my Christmas dishes and get them out of boxes in the basement. Now I will actually use them. The layout is basically the same as the old kitchen with some much needed upgrades and improvements. This was a major project for me to undertake as I arranged for the other trades to coordinate with your installers. But I am happy with the end result. I have a friend who built a new house with all top end finishes. He is doing some work for me as far as lighting and re-hanging the basement door and new locks, etc. He is a woodworker having made the cabinets in his first home. When he took a close look at the quality of the cabinets, he was very impressed. I considered that high praise and felt even better about my choice. Thank you. Express Kitchens, the fastest-growing kitchen cabinet and countertop retailer in the Northeast, is celebrating the Grand Opening of its 3 new store locations, namely at Southington, CT; Springfield, MA and Holyoke, MA on Saturday November 17th. The occasion of Grand opening is honored to have presence of high-profile dignitaries, which include Alex Morse, Mayor of Holyoke, MA and Seth Tenenbaum, Ambassador with The Springfield Regional Chamber of Commerce. The local administration at Connecticut and Massachusetts is working very closely with businesses to help them grow and create good-paying jobs and ensure equal pay for equal work. They have extended cooperation and support to Express Kitchens at all times in ensuring that we continue offering services and grow our business. This new retail store locations at Springfield, MA; Holyoke, MA; and Southington, CT will certainly offer ample buying options to people and the new retail store will certainly motivate small businesses to think and align their business strategy of investing in these regions. 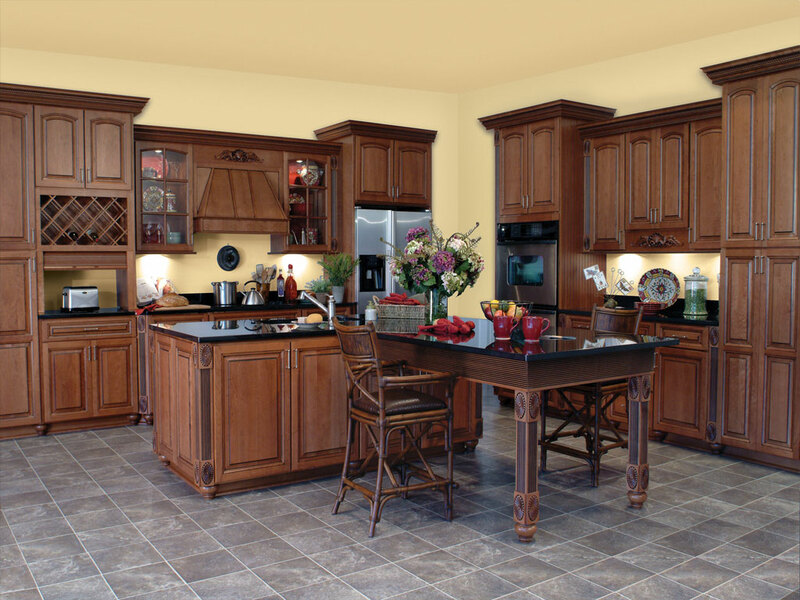 Express Kitchens offers one-stop shopping for the kitchen homeowner and professional remodeler. We offer free 3D design services, allowing the homeowner to envision their finished kitchen before the project begins. 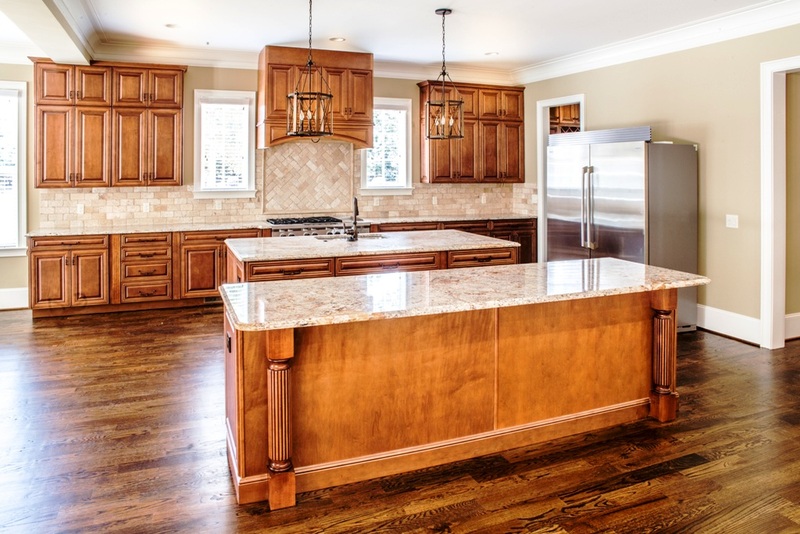 For the professional remodeler, we have our own on-site cabinet shop, laminate countertop shop, and granite shop so we can provide same-day cabinets and countertops at extremely affordable prices. In 2014, Express Kitchens was the winner of Forbes Magazine Inner City 100 with a growth rate of 172% over 5 years. Express Kitchens has grown to 16 retail stores across Connecticut and Massachusetts with a consistent revenue growth. The company’s focus on customer service has established itself as an industry leader. Express Kitchens has locations in Bridgeport, Brookfield, Hamden, Hartford (2), Newington, New London, Norwalk, Orange, Stamford, Torrington, and Waterbury, Connecticut and West Springfield and Springfield, Massachusetts. For more information, stop in to a store, call us at (860) 247-1000, email us at info@expresskitchen.net or visit www.expresskitchen.net. Catch us LIVE and EXCLUSIVE on your favorite radio stations – WMAS (Holyoke, MA), WAQY (Springfield, MA) and WRCH (Southington, CT). Walk-in customers at our new stores between 11 am till 1 pm can win exciting prizes on November 17, 2018. 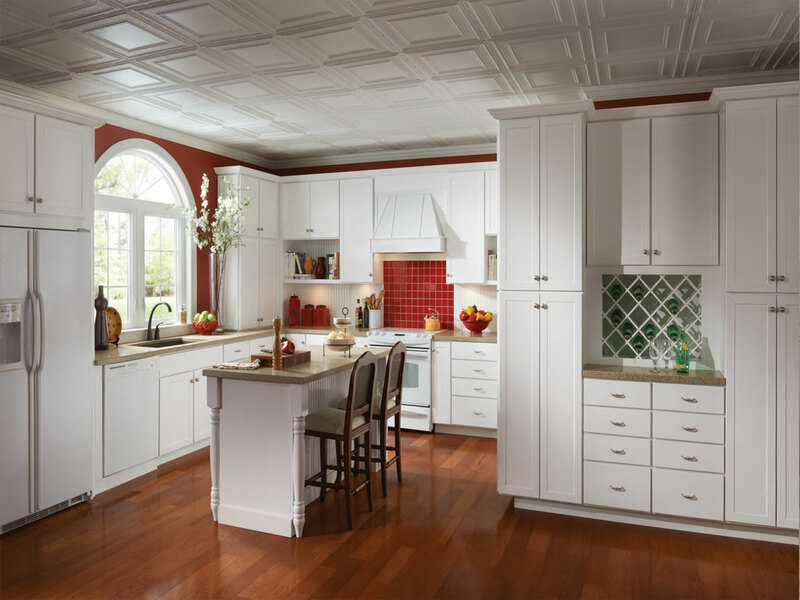 Express Kitchens is offering $250 off on purchase of Star Cabinetry kitchen. The Offer is applicable at all retail store locations across Connecticut and Massachusetts. 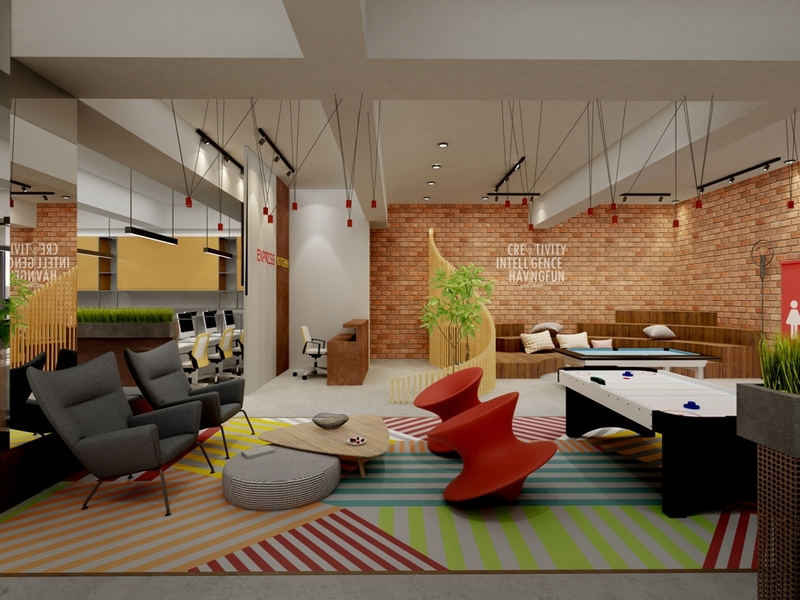 Having its headquarters at Connecticut, Express Kitchens is opening its first dedicated Technology Centre in India at Ahmedabad, Gujarat. 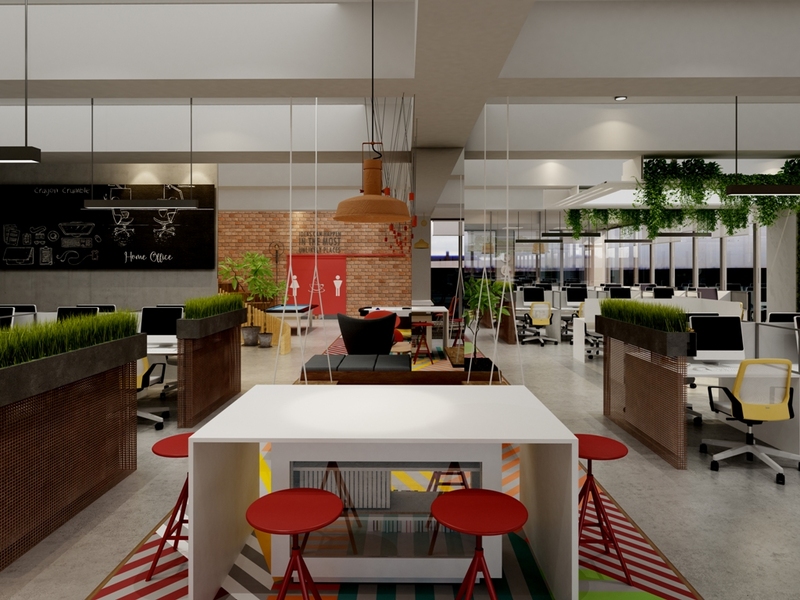 The opening of the new office premises resonates with Express Kitchens’ ambition of strengthening its footprint and developing local team in India. 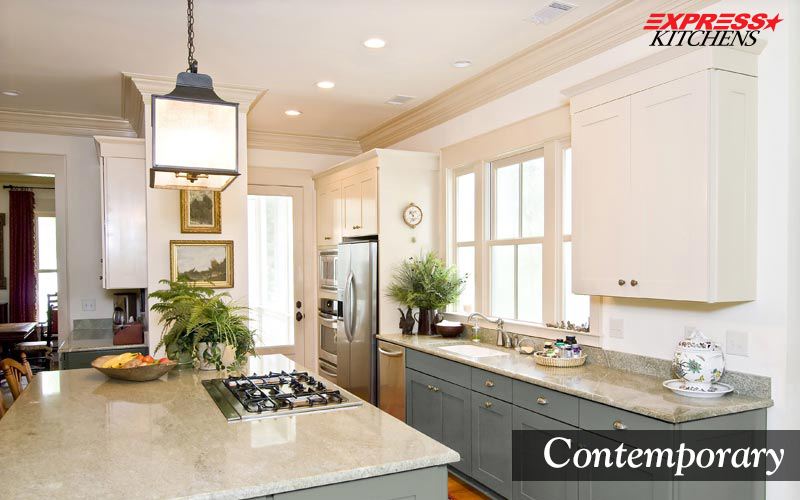 Express Kitchens is a pioneer in Kitchen Design, Installation and Remodeling services across Connecticut and Massachusetts and is rapidly expanding its retail base in USA. With the new operational Technology Centre in Gujarat, Express Kitchens is also exploring market to tap potential opportunities for setting up business in India, which is world’s fastest growing economy. With more than 15 years in operations at USA, Express Kitchens is now eying strategic tie-ups and collaborations with technology-focused and innovation-driven institutions to explore untapped business opportunities in India. Keeping its basic business policy intact, Express Kitchens is looking forward to develop deep understanding of Indian consumers and then tailor the products and services to meet the needs of the marketplace. The long-term strategic objective will be to work closely with organizations to come up with a business model customized for the Indian consumers. Express Kitchens aim to work closely with customers to establish a trusting relationship in order to implement the best solutions for ensuring real value for business. Express Kitchens is looking to leverage the technological advancements in India to improvise and better its services to existing customers. In initial phase, the Indian operations will primarily assist the Express Kitchen’s existing operations in USA to provide technology support services in the area of IT operations, Back Office and Accounting Management as well as Civil Construction services. 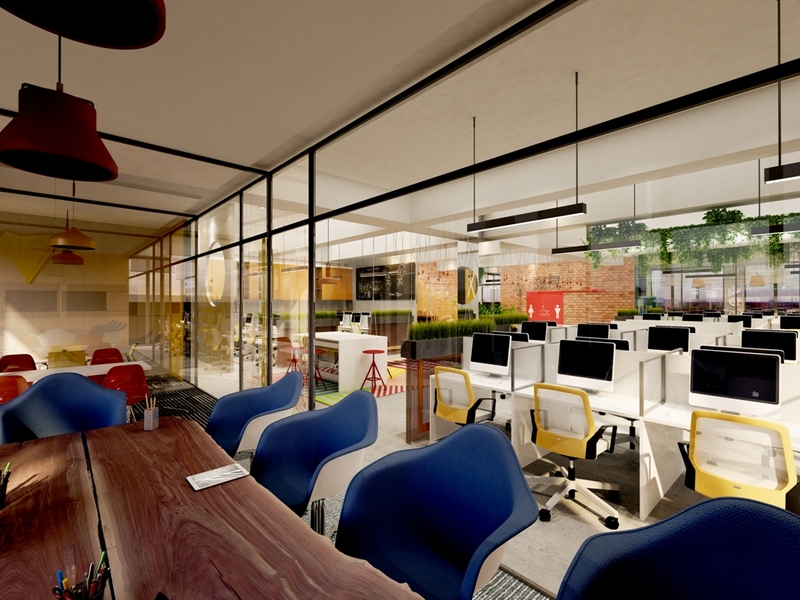 Express Kitchens is planning to grow in India and is ramping up the hiring. The Indian office will simplify system complexities and resolve issues in real-time thereby improving efficiency of services. Beyond assisting clients with technology solutions, Express Kitchens looks to leverage the robust prospects in India to attract, retain and grow new talent. The kitchen is one of the most important rooms in your home, so it’s no wonder that kitchen designs are such big business in the interior design world. Kitchen renovation or kitchen remodeling is a huge project and a major investment in your home. There are many different styles of kitchen designs and choosing which style is right for your home is the first step. Express Kitchens offer important design ideas to plan for kitchen renovation or installation of new kitchen. There are really only two things that affect a kitchen style – your own personal preferences for look and feel as well as the style of your home. Your new kitchen will reflect your personality, but because the kitchen remodel is such a large investment you may not want to let your design style run wild. 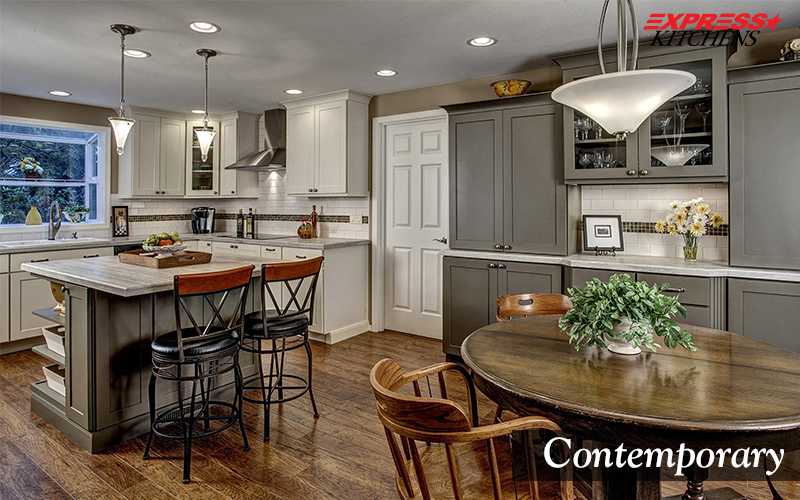 Instead consider the overall style of your home and plan for a kitchen that blends well with its surroundings. There are really only three types of kitchen styles: traditional, contemporary and transitional. Many other style names that you may have heard of, such as rustic or French country, are actually a subset of one of these three. You’ll find coastal, colonial, old world, country, French country and rustic styles grouped within the traditional style category. Likewise, the contemporary category may include modern and mid-century styles. The transitional style category blends the best elements of both traditional and contemporary styles to create a fresh, updated look. Before selecting your style check other resources on the internet, TV and magazines to truly match your style with your personality and the look of your home. The costing plays an important in the decision-making process of installing new kitchen at your home and it is empirical for all to keep a watch on the ongoing promotional offers of kitchen designers, installers and manufacturers. Traditional kitchens are a classic style of kitchen, and typically have many architectural details and embellishments that contradict today’s modern, simplistic tendencies. These embellishments can include corbels, cabinet door arches and moldings, decorative glass doors, hutch-style cabinets and elegant furniture posts. 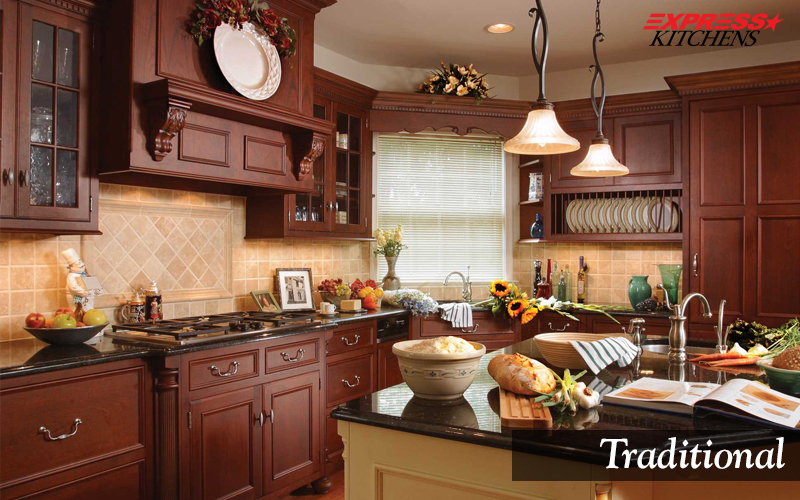 Traditional kitchens typically feature framed, raised-panel cabinetry, and are often accented with ornate light fixtures and classic style hardware. You may also find traditional kitchens will most likely use warm color wood species such as maple, cherry and oak that showcases the natural beauty of the wood cabinetry. Traditional cabinets may be finished with a wood stain or paint. While many people associate contemporary kitchens with modern kitchens, this is not necessarily the case. Contemporary, by definition, means “of the moment” or “current”. Contemporary kitchens feature many of the current design trends and cutting-edge design elements. Modern kitchen design is very simplistic and, at times, industrial. Modern kitchens tend to feature full-access cabinetry with a flat-panel (slab) cabinet finishes and simple hardware, giving the kitchen an overall sleek look. Clean, horizontal lines are also an important element in modern kitchen design. You will not find many ornamental elements in modern kitchens because of the category’s overall simple nature. The main emphasis of a modern kitchen will be clean and simple that emphasizes unbroken horizontal lines and details that contribute to the overall sleek look, such as minimal moldings, simple door shapes and no ornate details. 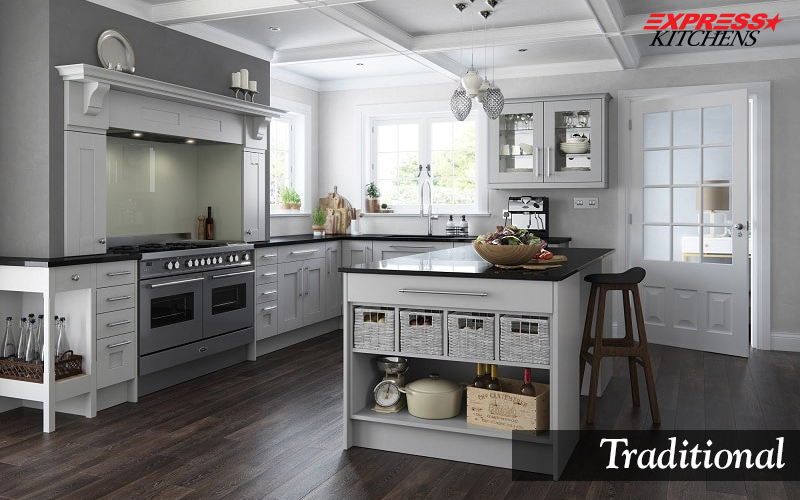 Arguably the easiest and most popular style today, the transitional kitchen combines features of both traditional and modern design. 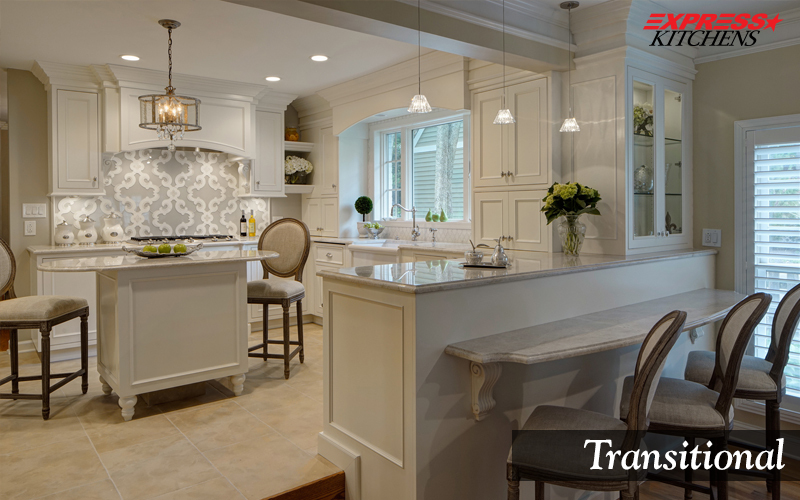 The transitional style really is a crossover look that will blend elements such as texture, colors, flooring, lightning, and highlight appliances rather than hiding them behind wooden panels. Design lines will be softer and lean towards the simple and linear and will not be heavy with decorative accents. 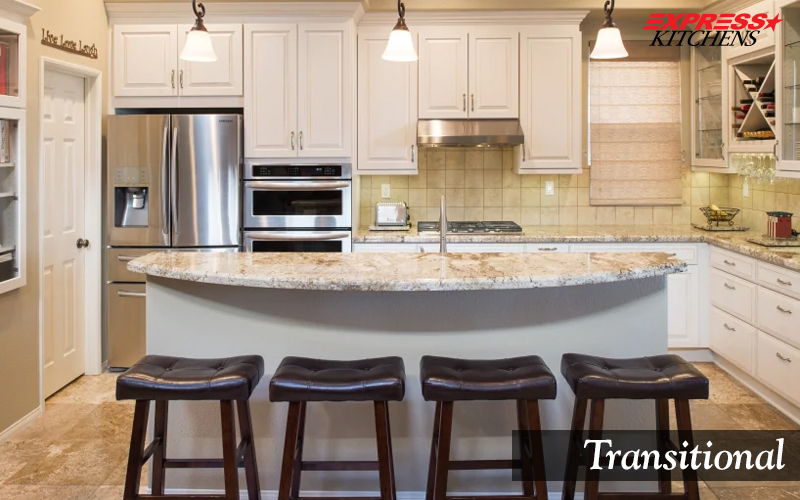 The transitional kitchen style will simply be a comfortable mix of styles. Homeowners often use natural surfaces for their countertops, such as granite, quartz, marble, or wood, but with simple edge profiles. Take your time when selecting a style for your kitchen. Consider your tastes and preferences, as well as how you plan to use the room. Select a style that you find visually appealing and that will be as functional as it is attractive. Tia-Mari Starr Brown dreamt of qualifying for the US Olympic Track & Field team. Tony and Clover Brown – like most parents – were supportive of Tia-Mari and always wished to fulfil her dreams of being a successful athlete. They both firmly believed that their daughter, Tia-Mari desired to be the best in pushing herself to achieve new heights of success. With her immense dedication, hard work and commitment, Tia-Mari was shortlisted for an international athletic competition in Australia. The struggle for Tony and Clover Brown were far from over when they realized the paucity of resources which could prevent their daughter’s dream run to compete at international level. Tia-Mari’s desire to win a medal at an international contest received encouragement and support from Express Kitchens team. Tony Brown, a long-serving employee at Express Kitchens, was ably supported by Management Team at his workplace including his colleagues, employees and staff members. 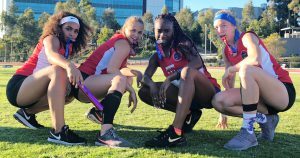 They all came up with the idea of hiring the services of Clover Brown by purchasing food every week that will support Tony and Clover Brown’s efforts to send Tia-Mari to global athlete competition. A small thought of support from Express Kitchens turned out to be a great success effort for Tia-Mari Starr Brown, who not only went ahead and participated in Australia but also achieved the feat of 2 times silver medals won at the global athlete competition. As an organization, Express Kitchens genuinely support its employees in their personal goals and continue having conversations about what they do and who they are becoming. The fulfilment of purpose not only keeps people satisfied in their roles but goes a long way towards establishing the strong bond to keep its best talent — and keep its talent doing their best. Creating a sense that you care about your employees can both motivate and inspire them. Express Kitchens is supporting community development activities with an objective of empowering people to achieve and fulfil their dreams. The workplace culture at Express Kitchens encourages its employee to come forward and become change agents for the initiative of supporting people’s dreams by helping them achieve professional and personal success. At Express Kitchens, we believe in innovating and inventing new range of wooden cabinets for your kitchen that enhances the look, provides comfort and convenience and adds value to the glory of your kitchen. The Echelon wooden cabinets offer you wide range and scope of enhancing and upgrading your kitchen at the most affordable costs. We will help you customize your new kitchen with the most beautiful kitchen cabinets and counter tops. Birch is a subtle contemporary and close-grained hardwood, whose colors go from cream to reddish-brown. Its texture is fine and even, and the grain is often straight but can also come in wavy or curly patterns, mirroring maple. With a smooth paintable surface, birch can be stained to resemble mahogany or walnut, but is typically at its best when left natural and sealed with a clear coating. Cherry wood cabinets, with a fine to medium grain pattern, provide an elegant look that is suitable for contemporary or traditional styling. It is moderately hard and strong, and resists both warping and checking. While usually pinkish-brown in color, there are also shades of off-white, green, and even gray. An American classic, cherry darkens beautifully with age and contains occasional knots, which gives it a unique beauty. 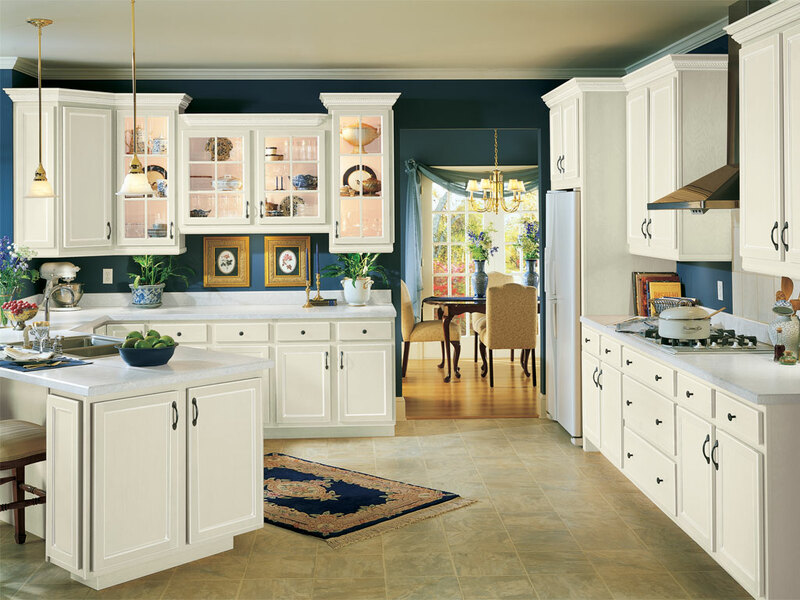 Cabinets in maple, a strong hardwood known for its close, uniform grain. Treasured by furniture and cabinet makers for years, the fine texture of maple lends itself well to both contemporary and traditional styling. Maple wood might occasionally include curly or wavy variations in the grain pattern. Colors range from light tan or cream to yellow to light reddish-brown. 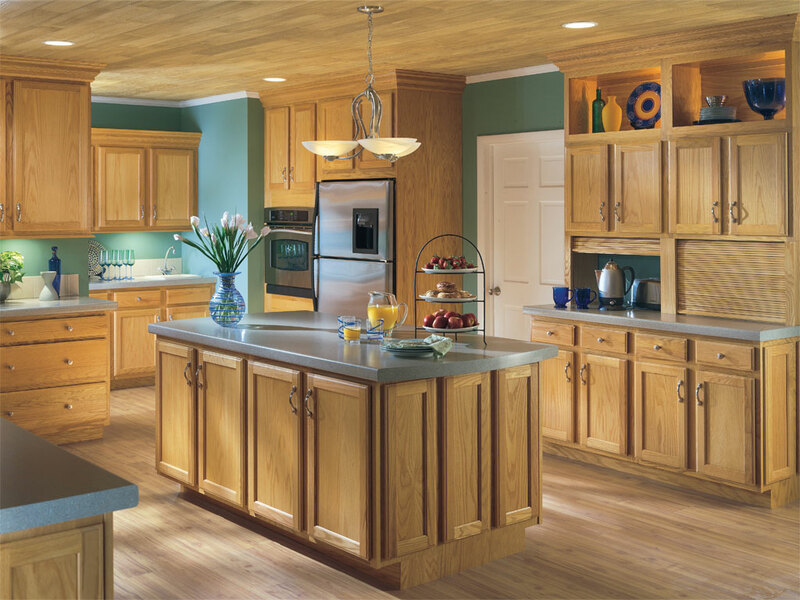 The prominent open grain pattern and textured surface of oak cabinets make it a natural choice for those interested in a more traditional or casual country look. This hardwood is heavy-grained and durable, and its visible characteristics include mineral streaks and pin knots, with it’s attractive red or white oak color tones. Milled from vinyl wrapped material over fiberboard, thermofoil cabinets offer contemporary styling, exceptional durability and wear properties, as well as superior cleaning features. Thermofoil is applied to cabinetry frames, giving perfect door-to-frame match in comparison to painted frames, which vary in color.